Our round-up of the best mini drones available. 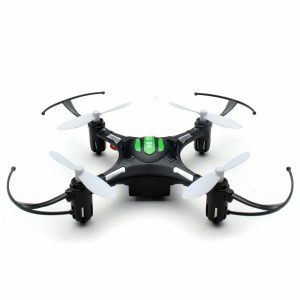 Which mini quadcopter is the best? 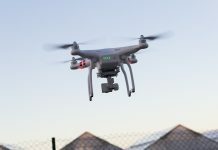 Drones are all of the rage right now. 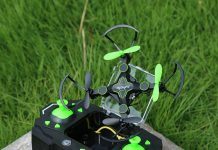 While the professional quadcopters are large, heavy, and expensive, the affordable mini quadcopter has emerged onto the scene for the casual enthusiasts among us. 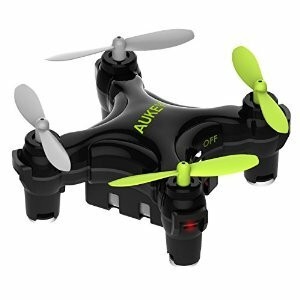 After all, smaller drones with four propellers offer more maneuverability and more fun! We took a hands on look at the most popular mini quadcopters currently on the market. 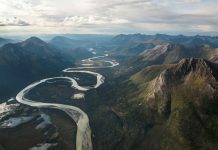 Here is our list of the ten best choices out there! Don’t let the low price tag fool you, the Cheerson CX-10 has plenty to offer. The CX-10 has an average flight range of 25 meters and a maximum altitude of up to 30 meters. 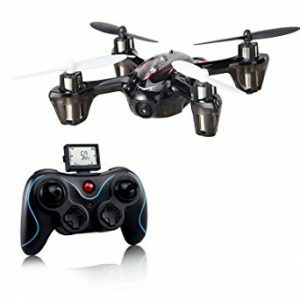 It has a flight time of 5 minutes, but the battery recharges quickly. The short flight time is common among mini quadcopters since there’s just no space to implement a larger battery. The CX-10 is palm sized, but it packs a real punch. One joystick flick allows the drone to perform a flip mid-air, which gives you that super satisfying, “I’m a real pilot,” feeling. Although the CX-10 doesn’t have a camera, for an extra $20 you can buy the CX-10C model which comes with a 0.3 megapixel camera built in. 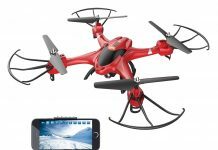 The Eachine H8 Mini is slightly more expensive than the Cheerson, with a price tag of $40. 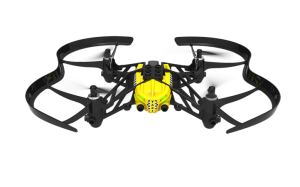 The H8 Mini has a flight range and maximum altitude of 30 meters. 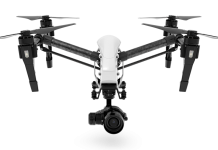 It has an impressive flight time for its small size, clocking in an average of 8 minutes per flight. There is no camera with the Eachine, but for the price it’s still a great drone for the casual pilot. 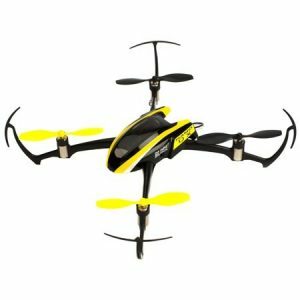 Yes, it’s a quadcopter list – but hey, it’s mini and it flies! The more propellers the merrier. 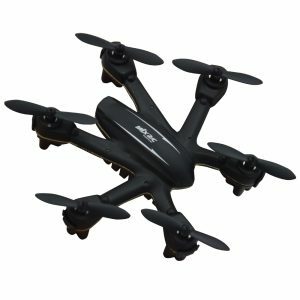 The X901 is hexacopter, meaning it has six propellers. 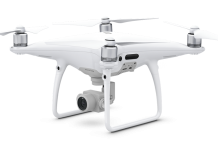 It comes equipped with a one button roll feature, allowing novice pilots to easily perform rolls. The X901 has a flight time of 5 minutes, a maximum altitude of 20 meters, and a flight range of 100 meters. 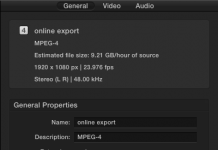 Despite the short battery life, it recharges very quickly. When everyone else on the block has a mini quadcopter, be the hexacopter guy! 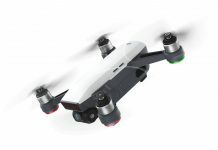 The Aukey Mini Drone has a range and altitude of 25 meters and a flight time of 5 minutes. It is incredibly easy to fly and can even perform flips and tricks mid-air. The Aukey comes with one-key landing and take-off settings, which is great since these are the most difficult aspects of piloting for beginners to grasp. This little guy is exceptionally tiny and can even fit right into your pocket. Despite the lack of a camera, it’s still tons of fun to fly. 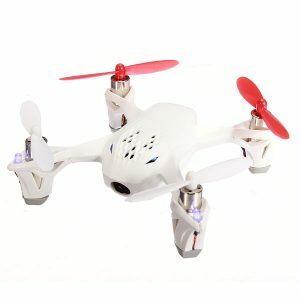 The Eachine E10C is possibly the best quadcopter with a camera for under $50. At $35, the E10C is a steal. 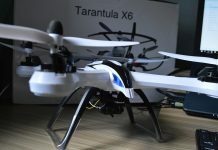 It has a flight time of 6 minutes and a range and altitude of 20 meters each. But the Eachine E10C’s camera is the focal point here. 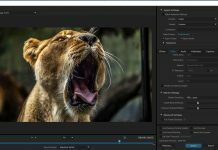 With 2 megapixels for still pictures, it’s far superior to any camera on this list so far – and it can also record 720p video! 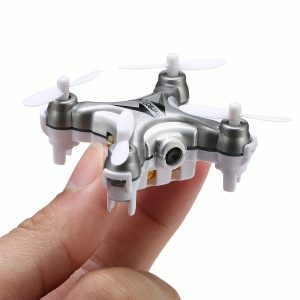 The Metakoo Bee Pro is our first mini quadcopter to exceed a $50 price tag, but its features definitely warrant it. It has a flight time of 6 minutes and a range/altitude of 25 meters. 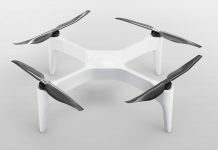 It comes enabled with the ability to sense air pressure and hover in place – a feature you will certainly miss when your quadcopter doesn’t have it. 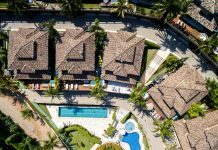 The drone comes with a built-in HD camera, allowing the ability to capture both photographs and video. Most importantly, the Bee Pro can stream first person video to your smart phone while it flies via the app! 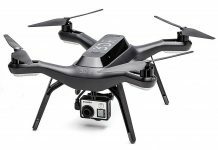 The Parrot Airborne Cargo is the first drone on this list to hit $100. It includes a lot of awesome flight features like hovering, bind, and auto landing. The Airborne Cargo has a flight time of 9 minutes and a flight range/altitude of 20 meters, so you’ve definitely got some time and room to soar around. 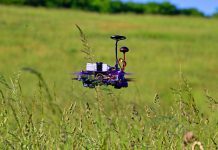 It is also the first mini quadcopter thus far that travels fast enough to have a calculated top speed, clocking in at 4.9 m/s. The Parrot comes also equipped with propeller guards to help protect the blades from damage during collisions. The Cargo’s must unique feature, however, is that it includes compartments for transporting small objects – it’s almost a mini amazon air drone! The Blade Nano QX costs a very reasonable $59.99. With a flight time of 8 minutes and a flight range and altitude of 25 meters, it’s in the upper echelon of performance on our list. 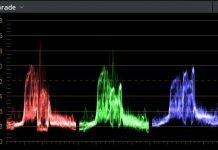 What it has over the others though, is brush-less motors. The brush-less motors offer a much more powerful lift than the other quadcopters. 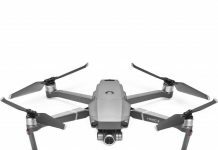 In addition, the blade comes equipped with propeller guards, making sure that your drone won’t get damaged as easily if you accidentally collide with something during flight. With a flight range and altitude of 50 meters and a flight time of 8 minutes, the F180C sits towards the top of our list in terms of performance. This Holy Stone comes equipped with an awesome little camera, capable of capturing 2 megapixels still images and crisp 720p video. With just a joystick flick, you can send the F180C soaring into barrel rolls and flip maneuvers. 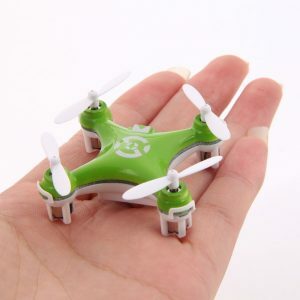 This mini quadcopter also ships with an extra propeller blade sets (12 blades in total), as well as an extra battery. 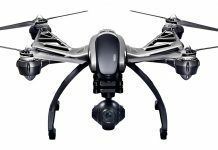 The Hubsan H107D is the most expensive drone on this list, and rightfully so. 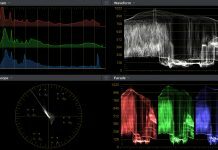 Priced at $250, the H107D comes packed with enough features to make it worth every penny. The H107D has a 420p video camera built in, but it also has a 6 inch LCD screen built into the controller. This allows you to see a live video stream during flight, in first person view (FPV). 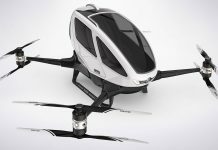 The H107D has a flight time of 7 minutes, a maximum range of 100 meters, and a maximum altitude of 60 meters. 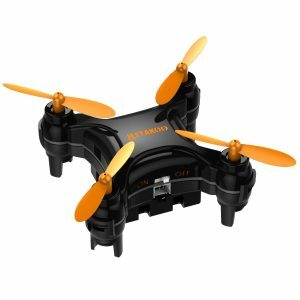 The Hubsan H107D is our top pick for mini quadcopter! That’s it for our round up of the best mini quadcopters on the market. 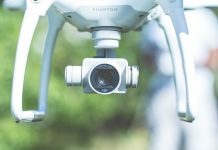 If you’re looking for a drone for your children, you might want to check out our breakdown of the best drones for kids.